If you’re headed to Tulum to hang out on the beautiful beaches, visit the ruins, or relax at one of the amazing hotels in the area, you’ll need to figure out how to get there. There are many options, and it all depends on your preferences. To learn about our favorite things to do in Tulum, read our post at https://therivieramaya.org/things-to-do-in-tulum/. Getting from Cancun to Tulum is pretty easy. Let’s start by answering a few really simple questions. You cannot currently take an Uber from Cancun to Tulum, as the company and government are still working together to approve a viable plan. However, this should be coming soon. Next, you cannot take a ferry from Cancun to Tulum, as they are both on the mainland. We are asked these two questions frequently, so there’s your answer. First, you can of course get from Cancun to Tulum in a car by renting one. 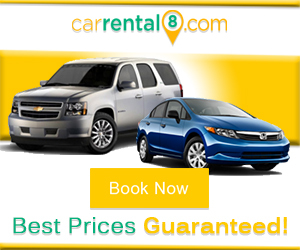 We don’t often recommend car rentals, as it is simply not necessary in most cases. Having a car can be more of a burden in this part of Mexico than it is a gift. However, if you want full control over your vacation or have a special need that requires your own car, you can absolutely do it with ease! From the Cancun airport, you will head east over to the 307. You won’t be able to miss the signs. When you get to 307, you will head south. Signs may point you toward Playa del Carmen and Tulum. You will stay on this highway for about 115 kilometers, or about 71 miles. Once you get down toward Tulum, you will see the ruins on your left. You can continue straight into tow, or turn left down the 15 to go down to the hotel zone. 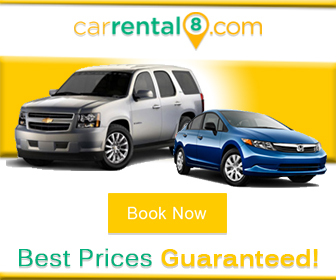 If you do wish to rent a car for your stay, check out CarRental8 for our favorite service and prices in the Riviera Maya! The ADO bus is one of the easiest ways to go for sure. The ADO from Cancun to Tulum takes a little over two hours, and runs about 240 pesos a person. If you have a large group or family, it may be better to rent your own car or take a cab, at least financially. However, the ADO bus is comfortable, air-conditioned, and pretty reliable. The buses from the Cancun airport to Tulum only leave a few times a day, so we recommend checking out their schedule on their website. Generally, buses leave at about 11:00am, 12:30pm, 3:00pm, and 8:00pm. When you land, you can ask somebody where the ADO bus is, or follow signs for the bus pickups. If you land at a time that makes it inconvenient to wait for a direct bus, you can also make the trip with a short layover in Playa del Carmen. Just get on a bus to Playa, then buy a ticket to Tulum and catch your next bus. It’s easier than it may sound, and a great way to make the trip. You can also take a taxi from Cancun to Tulum direct, although it can be costly. 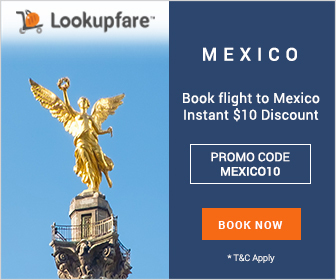 Generally, you’re looking at around $100-150 USD to get to Tulum in a taxi. However, you pay for the trip, not per-person. So this may be a good option. Taxis are easy to find around the airport, and you shouldn’t have any trouble. Just walk up to the taxi stand and tell them where you’re going. If you pay in pesos, you will get a better rate! Make sure you know where you are going in Tulum. Whether you want to head to a hotel in the hotel zone, down to the beautiful beaches, or into town, you need to let your driver know. Tulum is a bit spread out. The ruins, hotel zone, beaches, and downtown are not all within walking distance. One of the best ways to go if you’re headed to Tulum from Cancun is via a private transfer. Especially if you’re traveling with family or a large group, this can be quite reasonable. Airport transfers direct to Tulum can run anywhere from $65-150 USD depending on the service. Your driver will pick you up right at your terminal and take you directly where you’re going in an air-conditioned van. You can also take a colectivo from Cancun to Tulum, which isn’t a bad way to go at all. However, the Colectivos do not go all the way through. You’ll have to take one from the Cancun airport into Playa del Carmen, then switch to grab one from Playa del Carmen to Tulum. This is one of the cheapest and easiest ways to go. If you’re comfortable on public transportation, we recommend going this route. You can read our our article Getting from Cancun to Playa del Carmen for the first leg of your journey, and How to Get from Playa del Carmen to Tulum for the second leg!